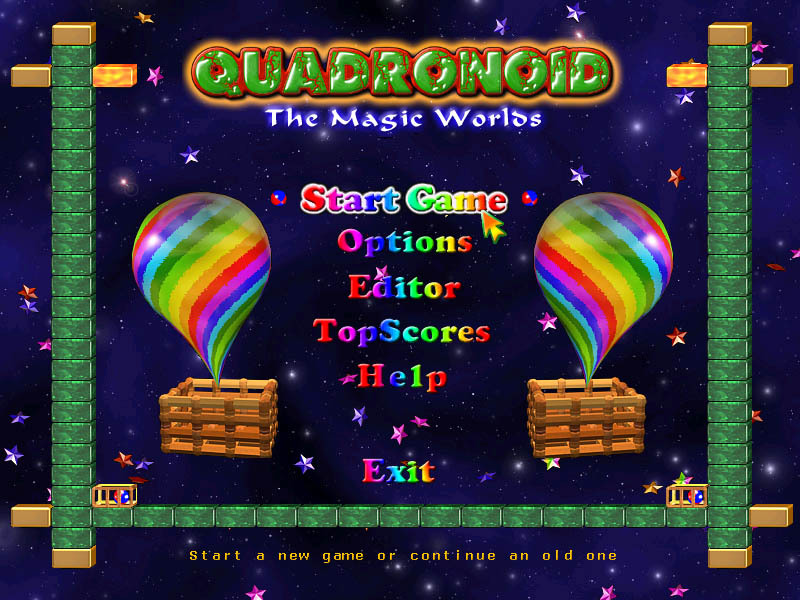 QuadroNoid II Game The Magic Worlds is an absolutly new remake of popular arcade game Arkanoid. various new elements have been added in this game, so the gameplay is really incredible! 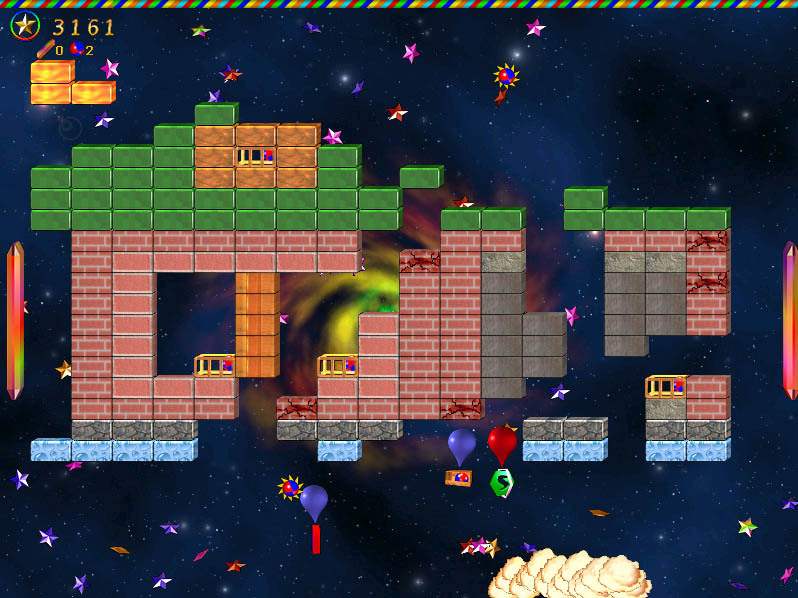 The main difference between QuadroNoid and a common Arkanoid is that you can select the game type from Arkanoid, DoubleNoid, TripleNoid and QuadroNoid. 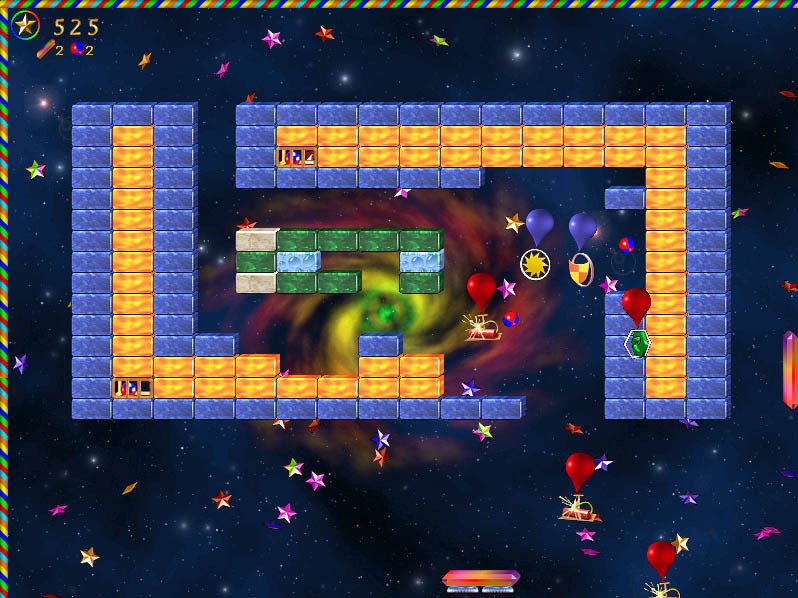 QuadroNoid II includes the level editor, where you can create your own levels and get maximum pleasure from the game. Also in QuadroNoid the paddle and the ball have own lifes, e.g. if you have caught the dynamite bonus and the paddle has exploded, only the paddle lifes will decrease. 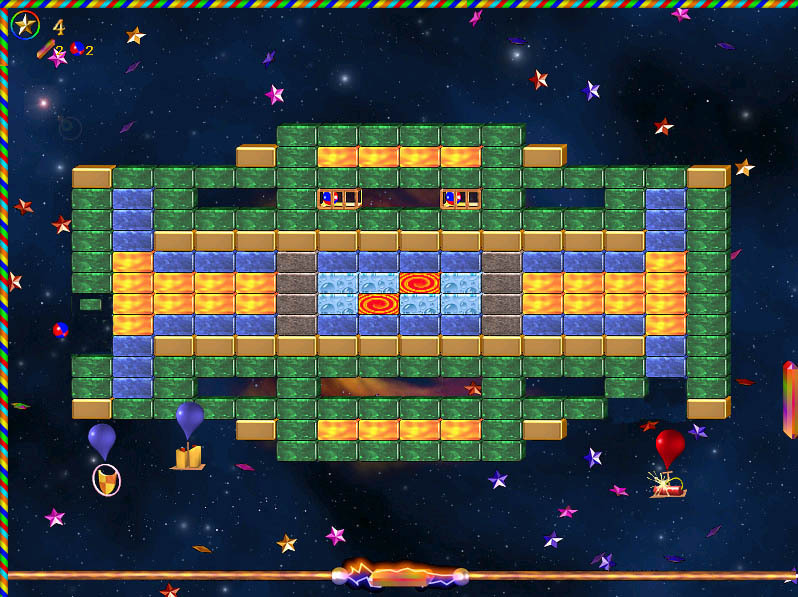 QuadroNoid II goal is simple - you need to destroy all bricks in each level to proceed to the next level. Many different bonuses will help you on your way. Beautiful 32 bit 3D rendered animated graphics. 90 levels in 7 episodes and 4 unique game modes. Easily adjustable game difficulty and level Editor. Very nice music and funny sound effects and Saving and Loading game. 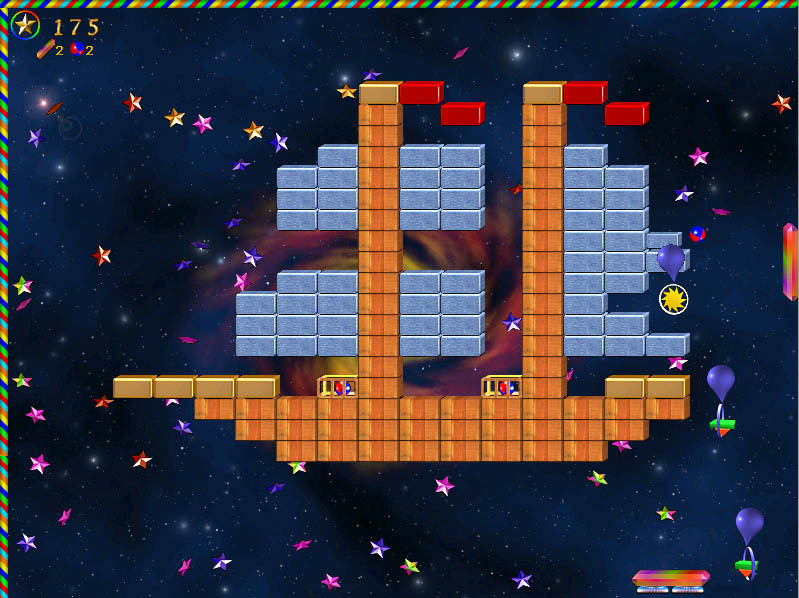 Non violent game for all ages and extraordinarily addictive game play. Amazing gameplay, beautiful graphics and sounds, Music by Infinite Group. Balls of Steel: Creature Attack! - Twice the action for a fraction of the price! Two full pinball tables in one quick download!